From simple box moves to large-scale phased moves, our relocation team allows clients to rest easy with its complete relocation solutions. Moves can be phased or done after hours, overnight, or on weekends. Our team is prepared to coordinate the entire event. 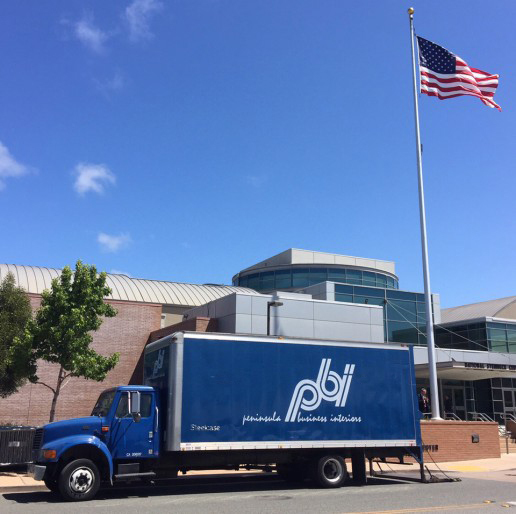 The first day employees occupy their new space, a PBI team of installers work on-site to take care of any desired adjustments. With careful planning, Peninsula Business Interiors ensures your move is a success for everyone. From orchestrating the relocation plan to move day logistics, we we take care of all the details so you can focus on running your business.